With the Koh-I-Noor bed, we have created a handcrafted base using the very finest traditional techniques. We use 20cm hourglass springs which are hand lashed to provide independent movement and provide an extremely supportive spring platform. The Koh-I-Noor base has a hessian insulator and features hessian bolsters which are loaded with horsehair and cashmere before being hand sewn into position. This method of manufacturing is incredibly labour intensive and requires the skills of highly trained and experienced British craftsmen. The turned leg on the base is available in a selection of colours, as is the high quality and durable ticking. 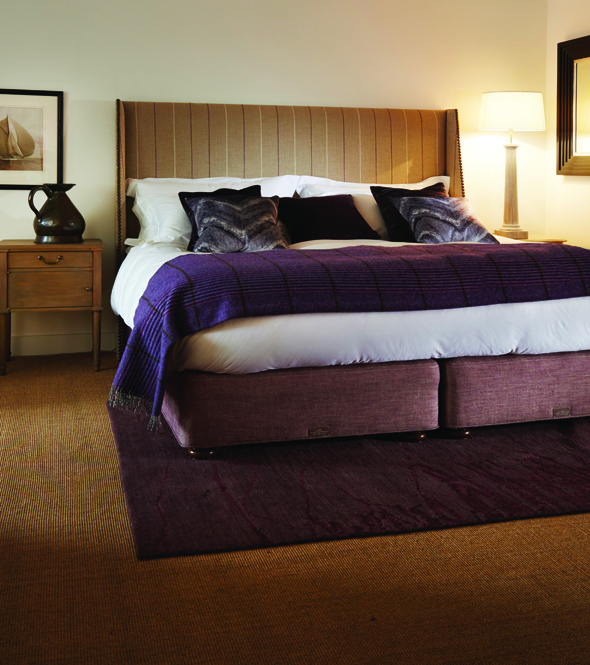 The Koh-I-Noor mattress epitomises luxury. It provides unparalleled support through a pocketed 14-turn progressive spring system which is embedded in sumptuous layers of hand teased, long stranded white horsehair blended with cashmere. The combination of coarse horsehair and cashmere produces a luxurious silky feel providing excellent moisture control, controlling your temperature while you sleep. Generous amounts of lambswool and cotton layers are included to achieve a stress-free floating sensation. 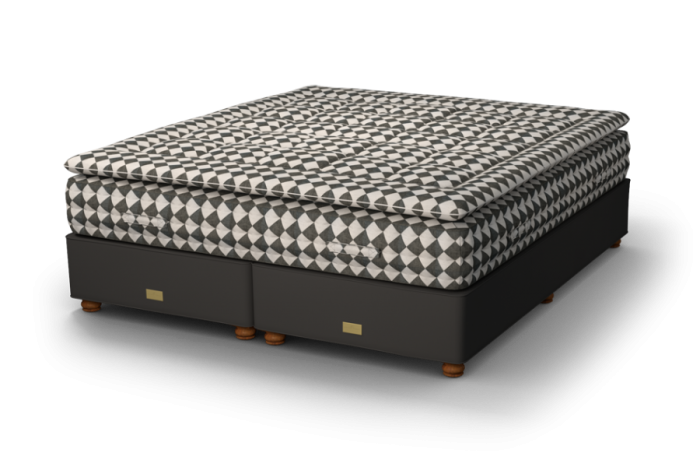 The mattress features three rows of traditional hand side-stitching in addition to a unique internal round and flat spring frame for shape retention and edge support. The Koh-I-Noor is a statement of excellence – the jewel in the Marshall & Stewart crown.